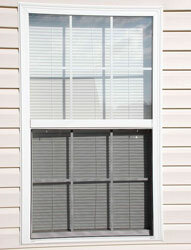 New home windows are just one of the many home-improvement products we can install for you. We also offer insulation, texture coating house paint, window film, air sealing foam, and much more. If your goal is to have a more energy-efficient home, Green Machine has all of the products you need to do just that. If you’d like additional information about the home windows professionally installed by Green Machine in Jacksonville and the surrounding communities along the First Coast of Florida, please contact us today. We’ll gladly answer any questions you have and provide you with a free consultation and price quote.